TORONTO–Following its recent acquisition of Canadian meal-kit service Chefs Plate, HelloFresh Canada has announced that the new dual-brand meal-kit leader expects to own 60% market share in Canada in 2019. The company also confirmed a revenue projection of $200 million for next year. “ We’re also happy to announce a significant price drop for our Chefs Plate meal-kits, which will make our kits more accessible for Canadians. Prices will start as low as $8.99/serving as of early December,” said Chefs Plate CEO, Jamie Shea. 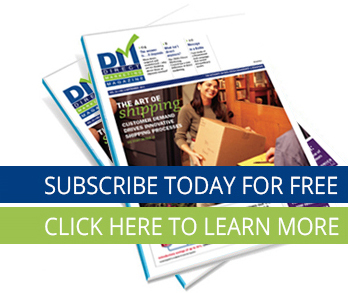 “By lowering cost, we open up meal-kits to Canadians who might’ve seen price as a barrier while continuing to increase the value of our product and long term customer satisfaction,” said Shea. “We are proud to be the Canadian market leader in meal-kits, and to be changing the way Canadians eat,” said Brooks. HelloFresh Canada was founded in February 2016. HelloFresh delivers ‘cook from scratch’ meal plans straight to your door with carefully curated, easy-to-follow recipe cards and locally sourced pre-portioned fresh ingredients in just the right quantities. HelloFresh helps reduce food waste and takes care of the meal planning, shopping, measuring and delivering, leaving time for you to do the fun parts: cooking and eating. HelloFresh caters to variety of needs by offering Pronto, Family, and Veggie boxes. HelloFresh delivers to every province in Canada. 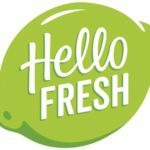 HelloFresh delivered 46.5 million meals to 1.84 million active customers worldwide in the three-month period between July 1, 2018 and September 30, 2018. Chefs Plate is Cooking Made Easy. Chefs Plate delivers pre-portioned ingredients and easy-to-follow recipes right to your door so you can make dinner in 30 minutes or less. Each weekly menu includes recipes for 2-Person, 4-Person, 15 Minute, 30 Minute, Non-Vegetarian and Vegetarian options. As a food-tech company, Chefs Plate is proudly re-inventing the way Canadians eat.